You get recommendations, on-demand shows and former online-only channels. In-car listening has come a long way in the past decade. Where satellite radio used to be one of the few ways to get live digital shows in your car, it's now trivially easy to bring your phone into the car and stream virtually anything. And SiriusXM knows it -- the company has launched a new platform, 360L, that brings some of the creature comforts of internet streaming to in-car satellite radio. To begin with, there's simply more to listen to -- you can listen to on-demand shows, not to mention channels that were previously online-only. You'll also get personalized recommendations for both channels and shows. You may get a suggestion for an on-demand show from the channel you're listening to, and that can steer you toward another live channel. Sports fans get a few perks as well. They should have an easier time finding a broadcast for their team during a live game, and they'll get wider access to official broadcasts for more college and pro teams. The interface itself has received a boost. There's now a more dynamic layout that changes based on content, and you can set individual profiles so that another driver (or a discerning passenger) can have their own presets. 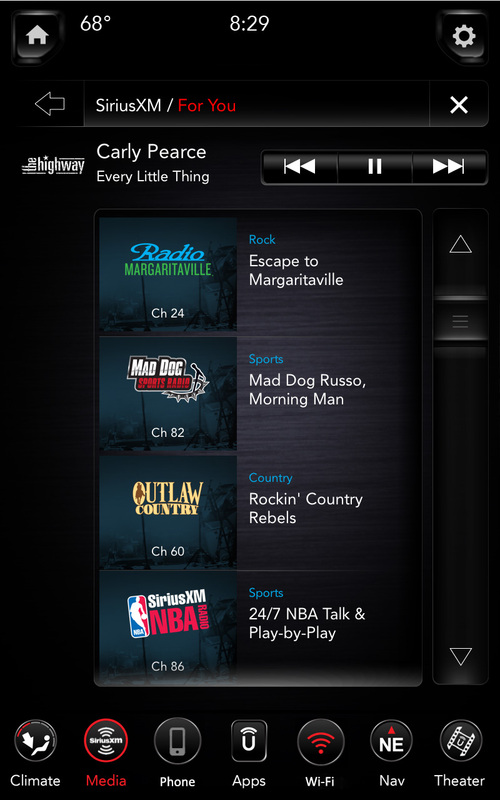 SiriusXM's new platform is premiering in the 2019 Ram 1500, where a 12-inch touchscreen offers plenty of breathing room. Production for the new pickup starts in the near future. Is this going to sell you on the Ram, or the concept of satellite radio? We wouldn't count on it -- if you're already used to plugging in your phone for some streaming, you probably aren't going to subscribe to SiriusXM. This is more for maintaining the loyalty of the satellite faithful who might be tempted by the alternatives. Click here to catch up on the latest news from NAIAS 2018!